We look forward to seeing everyone in two weeks at points event 1! Don’t forget to get pre-registered online! Test and Tune – SUNDAY!!! Get registered for Test and Tune Sunday – http://msreg.com/CPR-2018-TnT. Remember, you can register online and still pay onsite (only cash and checks accepted onsite, credit card payments are accepted online ONLY). Hello Everyone – The monthly club meeting is tomorrow – Tuesday, March 13th. Remember, meetings are now being held at Hoss’s Steak and Seafood on N Atherton Street in State College. The meeting will start at 7:00 PM, feel free to arrive at 6:00 PM for food, drinks, and casual conversation! I look forward to everyone being there to get updates about everything going on in the club and preparation for the 2018 season as it is just around the corner. Cliff Moten – 2018 Asst. RE. Due to a conflict with the venue, Event 2 at CPI which was originally scheduled for 5/20 must be moved to 5/13 (one week earlier). Apologies for this change and thank you for your understanding. The entire schedule may be seen below or on our website at www.scca-cpr.com. As always we look forward to seeing everyone at the coming month’s club meeting and at our events this season. MINOR SCHEDULE UPDATE due to a conflict at the venue the 5/20 event at CPI will now be on 5/13 (a week earlier). Steel Cities, Misery Bay, and Central PA are working on something really cool this year – a 3 event series called the KEYSTONE CUP! Entrants will sign up before the first event of the series via MSR and get a T-Shirt and sweet sticker for your car for $20. Normal fees apply to events at each region. Results will be PAX based (just like our SPS contingency program) and trophies will be awarded to at least the top 3 drivers! Central PA Region has a new website! Toward the end of last season Cliff Moten took over as the club webmaster. Over the past few months efforts were made to rebuild the site in the background giving it a new look and feel as well as a little different navigation feel. The new site was ‘soft launched’ two nights ago. If you haven’t yet seen it head over to www.scca-cpr.com to check out the new site. Don’t forget to check frequently for updates such as blog articles, event results, meeting minutes, and photos! As we all know our sponsors help make our events possible! New sponsors are always welcomed however, the deadline for sponsors to be included in the club brochure is April 11th. To see our current and new sponsors or download the packet visit the newly designed sponsorship page here – http://scca-cpr.com/site/sponsors. Don’t forget, if you bring in a NEW sponsor at the Gold, Silver, or Bronze level you’ll receive a coupon for one free autocross! 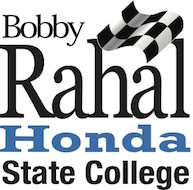 If you have any questions please contact our Sponsorship Chair, Jenn Moten – sponsorship@scca-cpr.com. We look forward to seeing everyone at next month’s club meeting and at our events this season. If you are interested in the photos from the slideshow playing at the banquet here they are – https://photos.app.goo.gl/Ah5Dt8cxb0M7L2Ki2. Thanks to everyone who provided photos!